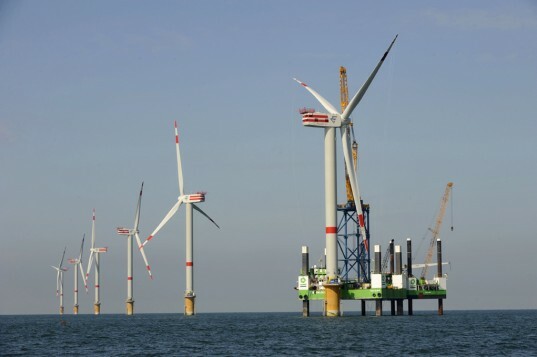 Wind turbine efficiency is increasing year on year, and now German energy company RWE Innogy is set to break an industry record by installing a wind turbine capable of generating 6 MW off the Belgian coast. According to the company, the new turbine will be the most powerful in the world! The wind turbine, which has a rated capacity of 6.15 MW, has been installed at the offshore Thornton Bank wind farm where it will aid in the generation of around 325 MW of power — this is enough to meet the electricity needs for 600,000 people a year. Alone, the new 6 MW turbine will single-handedly be able to meet the demands of 6,000 people. How big is it? Well, the nacelle alone is the size of a two-family house, and the rotor has a radius of over 400 feet and sweeps the surface area of two football fields. 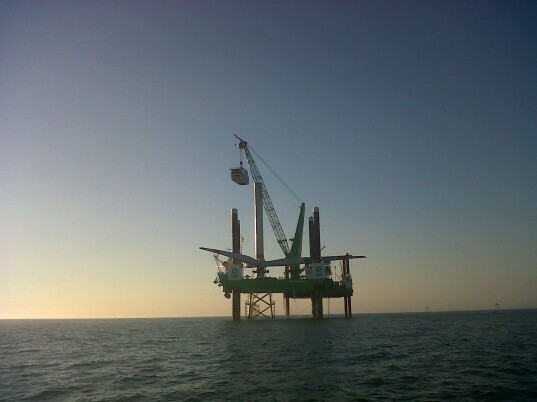 The turbine was constructed by manufacturer REpower Systems and is the first of a total of 48 wind turbines of this type to be installed in the second and third development stage of the Thornton Bank wind farm off the Belgian coast. The first development stage with a total capacity of 30 MW (six 5 MW turbines) has been in operation since 2009. Being the largest private investor, RWE Innogy owns 26.7 percent of the Thornton Bank wind farm. The wind project is the largest of its kind in Europe, and is currently in its third phase of construction for the project. Eight commercial banks are providing $1.28 billion in funding for the project.